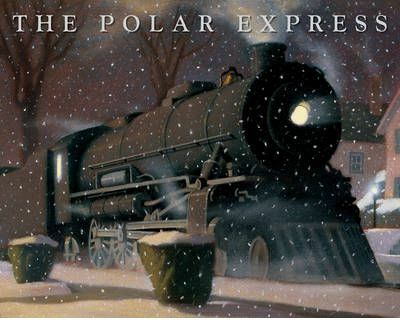 The Polar Express is a beautiful picture book which was created in 1985. It has since been turned in to a magical movie. As with many great cinematic creations turning back to the book that originally inspired it provides the reader with many rewards. The Polar Express is told from the point of view of one little boy on Christmas Eve. As he peers out of his window, late at night, he hears the unmistakeable sound of a steam train. Our young protagonist is invited aboard the Polar Express and whisked away on an exciting journey to the North Pole. Filled with children, elves and magic, the atmosphere is electric as the excitement surrounding the start of Christmas Day begins. The Polar Express, filled with the magic of believing, is oh so beautifully communicated by a descriptive, evocative narrative that whisks you away on the journey too. The softly drawn illustrations dominate each page, perfect for pulling the reader in to the magical ride. The more mature, and detailed descriptions render this book perfect for slightly older children who are just on that cusp of bringing up certain questions about Santa!